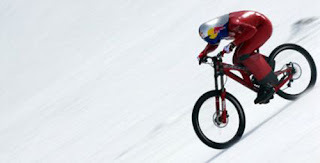 Austrian Markus Stoeckl has set a new world record for the fastest speed recorded on a Mountain Bike. High in the Chilean Alps, Stoeckl piloted his Intense M3 to a eye watering 130.7mph. He shattered the previous record by over 14mph!